Hello! 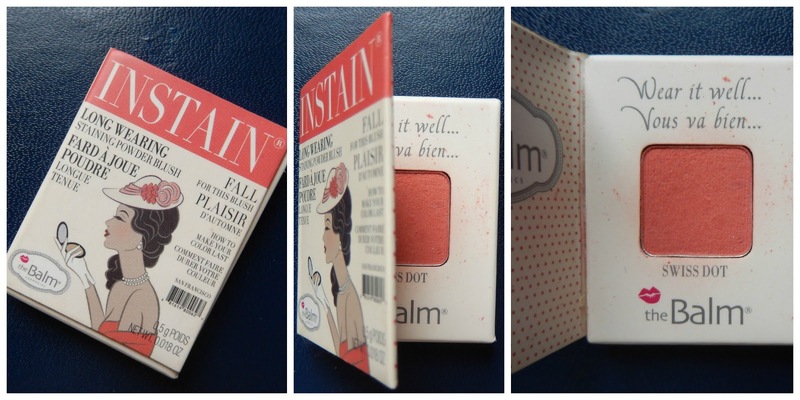 Today I'd like to tell you about a makeup experiment that I had with the Balm's INSTAIN Long Wearing Staining Powder Blush in Swiss Dot, a highly pigmented gorgeous peachy shade I received in a sample size (can't remember what service, either Love Me Beauty or Sephora, sorry!). Now, I heard somewhere that the Balm's cheek products could also double as eye shadows. 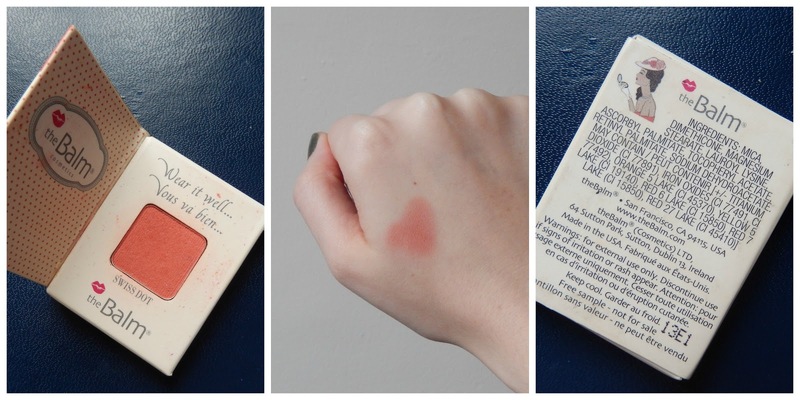 I had been using this blusher with a bit of confusion, my heavy hand just couldn't make this peach-toned instant staining blusher work on my skin. However, the color was beautiful, pigmented and the packaging is too cute to quit. So one day I was playing with makeup (as you do) and I decided to use it as eye shadow. Now, I'm no stranger to the pink eye shadow. I have green eyes that I've always found work with pink eye shadows (hello Naked 3 palette, I'm looking at you). 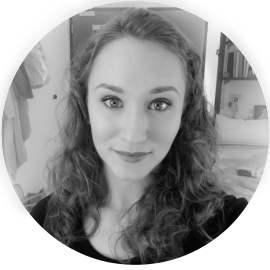 Being someone who didn't learn the rules of makeup early on, I happily found that drugstore quads with pink or purple tones, hell, even coral tones, looked great on my eyelids in a simple wash. Making the leap from blush to eye shadow didn't seem to be all that scary. This isn't a pink-eye look, but a fantastic enhancer for my eye color that works with my skin tone. I found that Swiss Dot was an amazing color that I actually wore for an entire week in a row, I was so in love with it! So many pictures of my eyeballs. I know. But I just wanted to show how subtle of a peach this is on the eyes. Left two pictures are in natural sunlight and the right image is in incandescent light, it looks a lot warmer! The Balm's INSTAIN Long Wearing Staining Powder Blush is available in the US and the UK. It can be found on the Balm's website for $22 and on FeelUnique for £18.50. 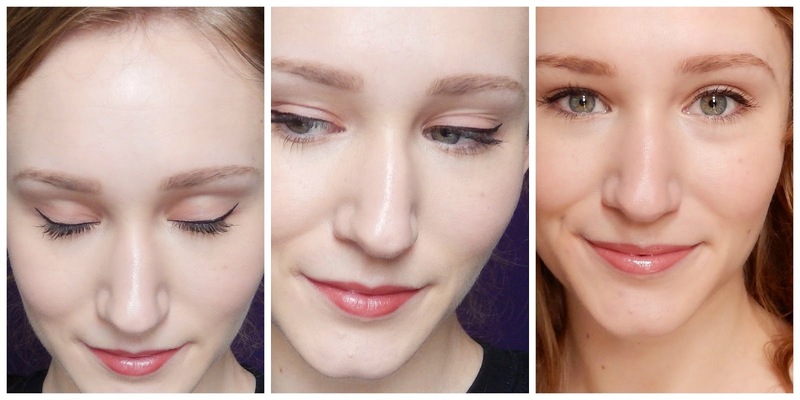 Have you ever tried blush as eye shadow? Let me know in the comments!